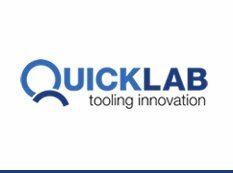 Solid Carbide High Feed Cutting Tools - Quickgrind - Tewkesbury UK - A Leading Manufacturer of Precision, Solid Carbide Cutting Tools. Ready to think differently about your tooling costs and realise the financial benefits to your business? 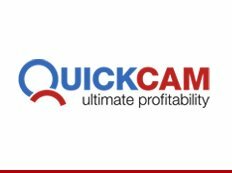 Boost your productivity, throughput and profitability with Quickgrind. You can trust Quickgrind’s expertise and responsiveness to help you solve your solid carbide cutting tool challenges quickly and effectively. We are experienced in developing high speed machining(HSM) strategies and have a track record of turning our customers’ difficulties into opportunities to cut costs, improve productivity and raise performance, as well as manage supply chain risks. Quickgrind has been at the forefront of solid carbide cutting tool design and manufacture for over half a century and engineering is in our blood. We have an international reputation for solid carbide and high speed steel cutting tools for the extrusion die, fabrication, die and mould, aerospace, automotive, medical and general engineering industries. Our streamlined processes which have been recognized by receiving ISO 9001:2015 accreditation and recognition as an Approved Economic Operator - AEO ensure quality support to our customers, wherever they are in the world. Quickgrind delivers productivity gains by optimising metal removal rates and tool life. 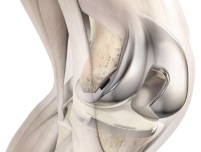 This is achieved by understanding our customers’ goals and constraints using our proven process and using our expertise and insight to match your application requirements with the correct technology to design the right tool for the job. You can expect better performance on the cost front too as there is surprisingly little difference between tailor-made tools and standard tooling, plus you remove the hidden costs of compromise. You may also be surprised to find you can significantly reduce your cutting tool inventory and simplify your tool management. 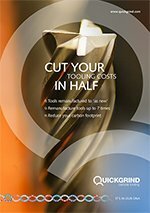 Download the "Helping You choose the Right tooling Solution"